In lieu of doing a full-size installation at Art-Prize at the Harris Building (we will do one this year), I created a miniature replica. I asked the viewer to imagine that I created an installation in a much smaller universe than ours — perhaps one that would fit on the head of a pin. Below are photos of the finished miniature gallery in my studio and photos of my process. 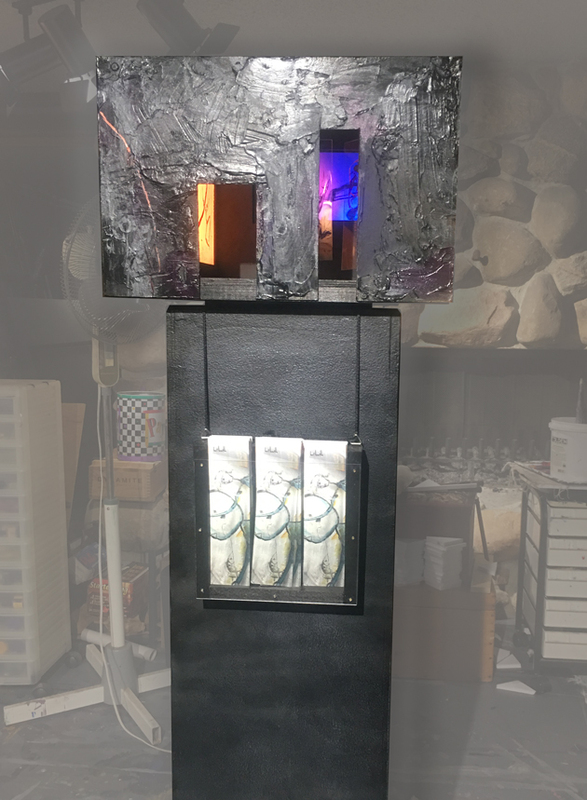 View of “imagine” mini-installation in leveille studio — 12″ x 12″ box, mixed media box with video, white and clear plastic, acrylic paint, changing colored lighting. See interior detail shots below. Making this mini installation required new tools – miniature table saw. Cutting thin material.This is 1/8 in plywood. Thicker pieces are cut with larger saws. Using another cool mini tool with a turn any way blade to cut out the mini door openings. There will be a base with the interior structure and the walls and ceiling will drop over the base. Adding structure for wires and controller storage to the underside of the base. Creating the wall to support the back lighting. Creating the white plastic art that will be backlit with changing colored lighting. Testing and getting materials ready for video and back lighting. Making the wall to hold the white plastic art that will be backlit. Painting the gallery floor and the backlit wall black – inserting the art to be backlit. Interior view of clear plastic art and silver wall hanging. black paint interior, black textured paint and other colors on the exterior. Interior miniature gallery view of clear plastic and back lit wall. Interior miniature gallery view of clear plastic art and video. Silver wall hangings on either side of the gallery doors. 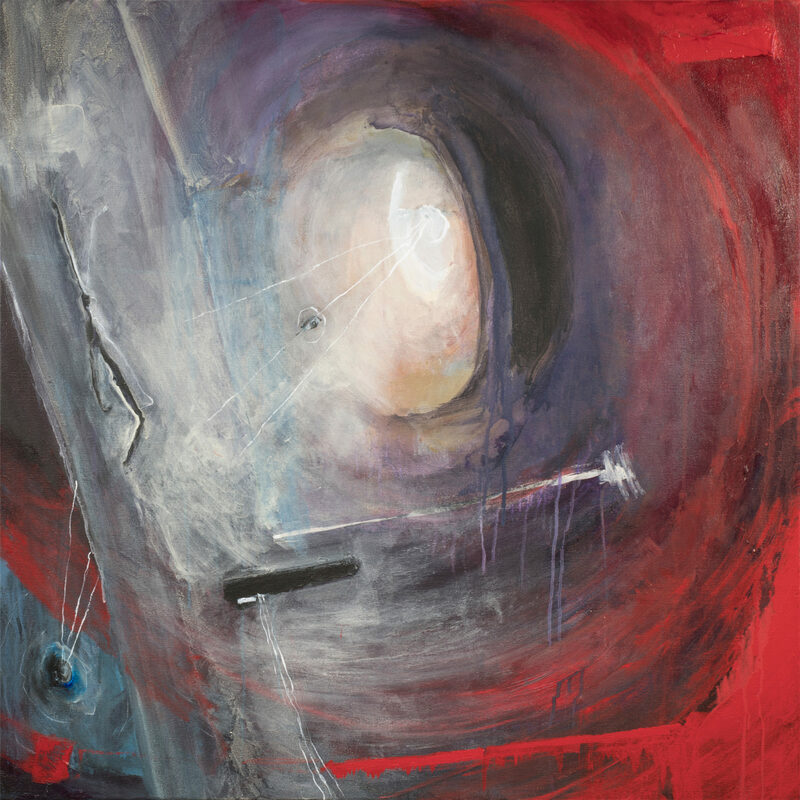 The intent of this blog is to give you a glimpse of my art, my thoughts, my process, and inspiration. I will share my stories and my journey. Enjoy!